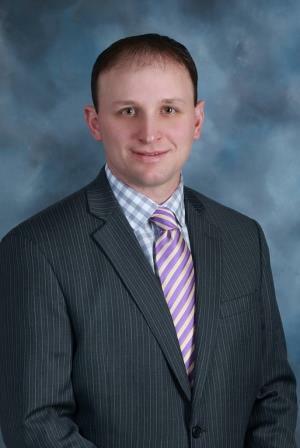 CLEARFIELD – Gregory M. Dixon, CNB Bank market executive, recently announced Dustin A. Minarchick has been promoted to commercial and retail lending officer. Minarchick sees customers out of the main office located at 31 S. Second St., in downtown Clearfield. In this position, Minarchick’s primary responsibilities are to foster customer relationships by developing and maintaining business and personal loan and deposit relationships in the Clearfield and surrounding areas. A native of Osceola Mills, he graduated from Philipsburg-Osceola High School in 2002. He received his Bachelor of Science degree in business finance from Clarion University of Pennsylvania in 2007. After obtaining his degree, Minarchick joined CNB as a member of the management training program in 2007. Immediately following the intensive training program, he obtained a position in the bank’s Credit Administration department as a commercial credit analyst. In this position, Minarchick developed his knowledge and experience on business lending analysis and supported lenders from 39 branch offices. He currently resides in Morrisdale with his wife, Kylie, and their son, Nico. He is a member of Calvary United Methodist Church in West Decatur, where he also served as the chairman of the Head of Trustees for three years. Minarchick also serves as treasurer of the Central Intermediate Unit No. 10 and is the vice president and assistant coach of Philipsburg Phil’s Legion Baseball. He volunteers as coach of the Clarion University Youth Baseball Camp, Calvary United Methodist Church Pre-School T-Ball program and GWD Methodist Church Softball Team.